PREMIUM TLV is a division of NADLAN-PLUS real estate Company that was established 26 years ago by Mr. Shlomi Ben Ishai. 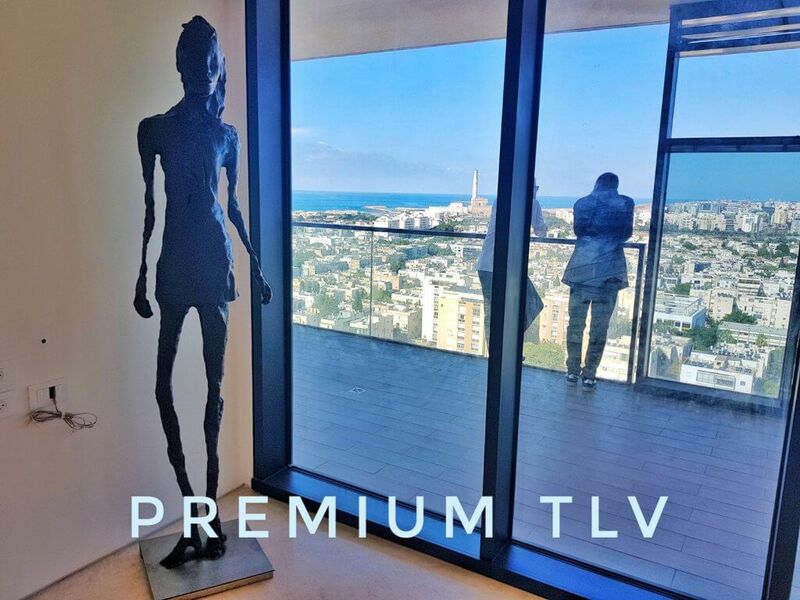 PREMIUM TLV is specialize in marketing PREMIUM apartments in the PREMIUM city Tel Aviv and provides a PREMIUM service for PREMIUM clients worldwide. PREMIUM TLV offers a wide selection of luxury properties throughout Israel, although we focus primarily on real estate in the most desirable neighborhoods of Tel Aviv : City Center , Rothschild Blvd , Kikar Ha-Medina ,Ha-Yarkon and beach area , BASEL area & The Old North , BAVLI and Tzameret neighborhood . Our most recent real estate sales have included : Penthouse in Basel area for $2.6 million, A sea view apartment on Rothschild for $11 million, Garden apartment in the city center for $1.85 Million , and Exclusive apartment in luxury Assata Tower for $2.3 million. We would like to help you find your dream home for you, whatever it is, a Luxury Penthouse, Duplex Garden, A Villa or the ideally-located site on which to build your new residence in Tel Aviv . 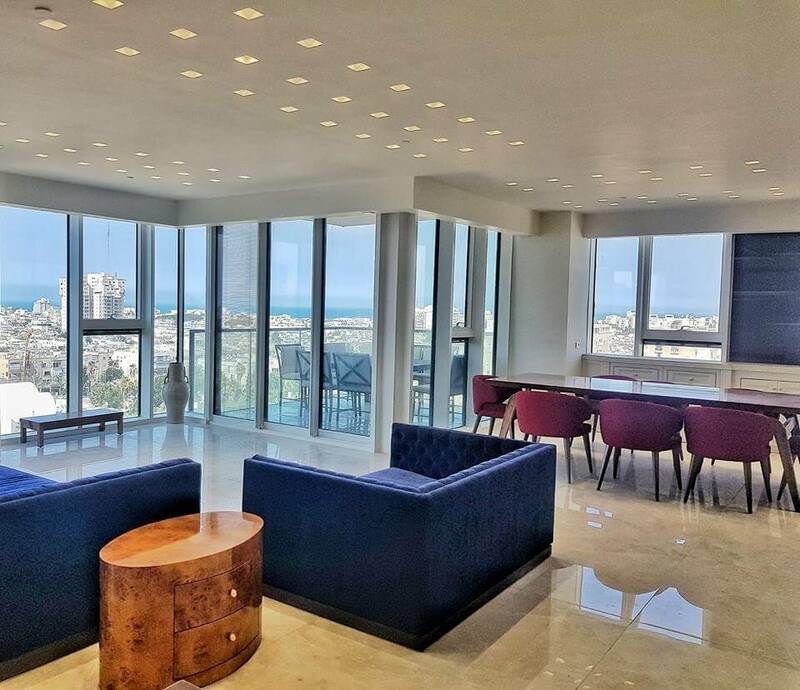 At PREMIUM TLV we focus in getting exclusive luxury properties for our clients within the greater Tlv area. Our rental team understands the requirement for quality and care throughout these processes and our many years of experience allows us to work most efficiently. Based in the heart of Tlv our main office is located on Basel St. Through hard work and efficient negotiations we have the most current and robust network to offer our clients. Gal Shure is the CEO of our rental division. With his vast experience in marketing and management he has emerged as one of the most established realtors in the region. Working mainly exclusively, Gal always ensures a quality and professional service for all parties involved. Our Executive Foreign Manager is Lora Hes from Switzerland. Her professional profile encompasses sales, production and translations in the legal field. Lora manages our long-standing relationships with embassies and other foreign clients. Passionate about her work she takes great pride in providing a rare service known to be missing in israel. Lora is multilingual speaking fluently is; English, German, French & Hebrew. Our work is meticulous. We believe that “The long way is the best way.” The key to executing a successful transaction is conducting an in-depth study of all the relevant factors. Many real estate agents look merely at the basic components of the transaction, but we analyze every element of the deal and provide our clients with a comprehensive and very detailed picture of everything involved. We start by preparing a professional evaluation of the asset question, and accompany our clients through the entire legal procedure, the tax plan, background relating to the local labor market and an in-depth analysis of the contract/ management of the property– all catering to our client’s individual and very specific requirements. There are two additional factors that have been part of our company’s flagship since its inception – personal integrity and discretion. These conditions are mandatory in order to execute any quality transaction of such magnitude. PREMIUM TLV is a rare boutique Real Estate Agency in Tel Aviv. PREMIUM TLV provides a large range of services, targeting private and commercial clientele as well as institutional, thus addressing the entire Israeli real estate market. Whether you are looking for a home for yourself and your family, or a real estate in Israel for investment purposes, we would welcome the opportunity to work with you on an individual basis. Together we will explore the options, implement strategies and help you to fulfill your goals. We are truly experts in the field of Real Estate in Israel, and combined with our total dedication to our clients, we will provide you with the highest quality service possible. Let our foremost Israeli Real Estate experts help you to find and acquire your property in Israel.